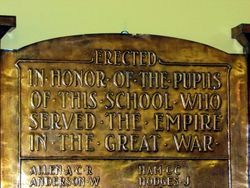 An embossed bronze honour roll commemorates former students of the school who served in World War One. 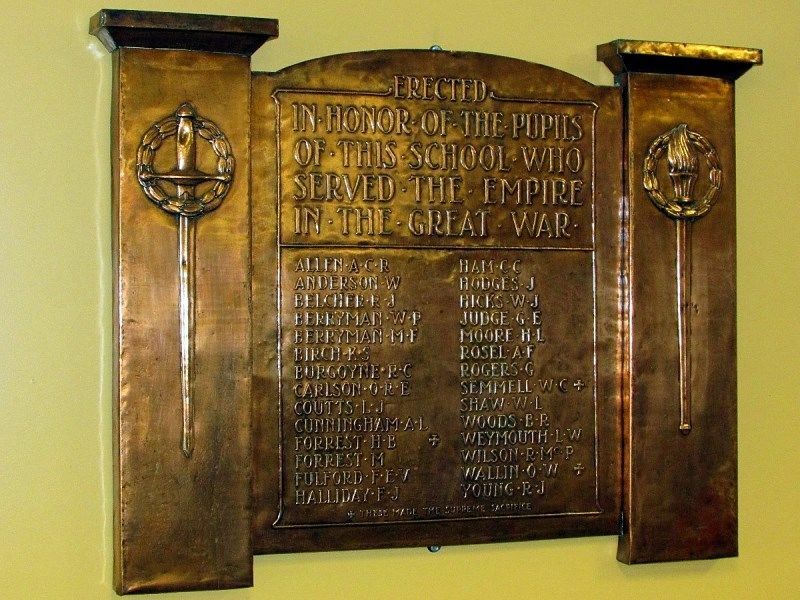 During the inspectional visit, to Echuca High school next week a bronze plaque, designed and made at Ballarat Art School (School of Mines), will be unveiled in honor of the 32 ex-students of the school who volunteered and went on active service, 1914-18. Three of the men did not return. The plaque, which is of embossed and repousse work, bears a laurel wreath and the torch of learning and sword of justice, over the names of the ex-soldiers. The mayor (Cr. A. C. Ostrom), president of the R.S.S.I.L.A. branch, heads of public bodies and the citizens will be invited to attend the unveiling ceremony. Age (Melbourne), 19 October 1922.